Fifth class had an amazing time celebrating Grandparents’ Day on the 3oth of January as part of Catholic Schools week 2019. 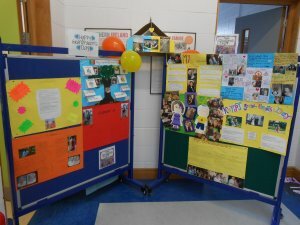 Both fifth classes put a huge amount of work into their individual projects which created a fabulous display in the hall. The children hosted a special prayer service led by Father Michael. The children were delighted with the turn out and loved showing their projects to their grandparents and family. Thank you to all the family members who joined us on our special day.